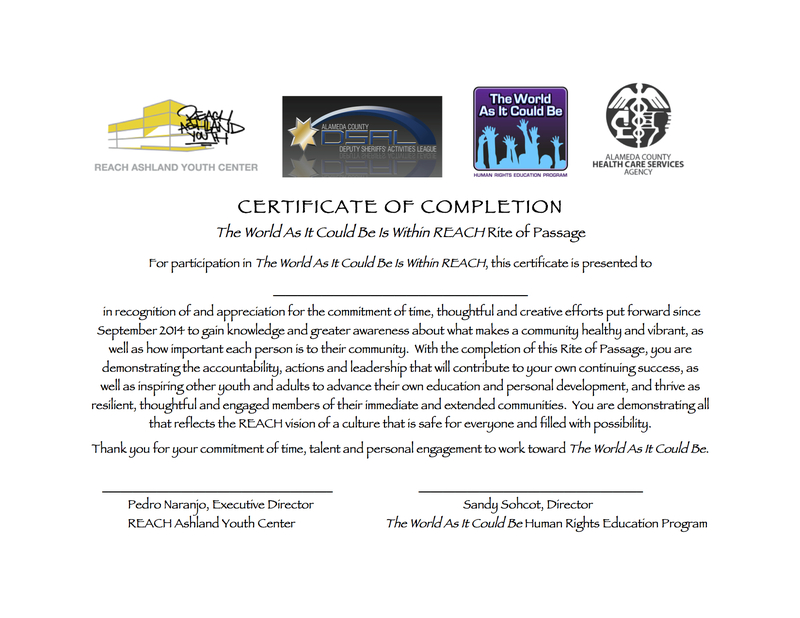 On Friday, May 15, participants in the first The World As It Could Be Is Within REACH program presented their culminating ceremony and received their certificates of completion. On hand were many community members, including elected officials and their representatives, there to congratulate them on their accomplishments. Our congratulations as well to Julia Allen, Citlalli Castellon, Enrique Castro, Ronnie Coleman, Kevin Davis, Brooklynn Forrest, Christina Lore, James Korha, Maurice Sampson, Rod Spikes, and Brett Warren. It’s been an honor and a pleasure to work with these young people, and we wish them every success as they take on positive roles in their community.